$1 Dinner! 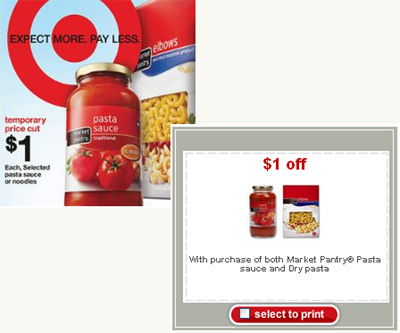 Get Pasta & Sauce for a Buck! = $1.00 for both, or $0.50 each!